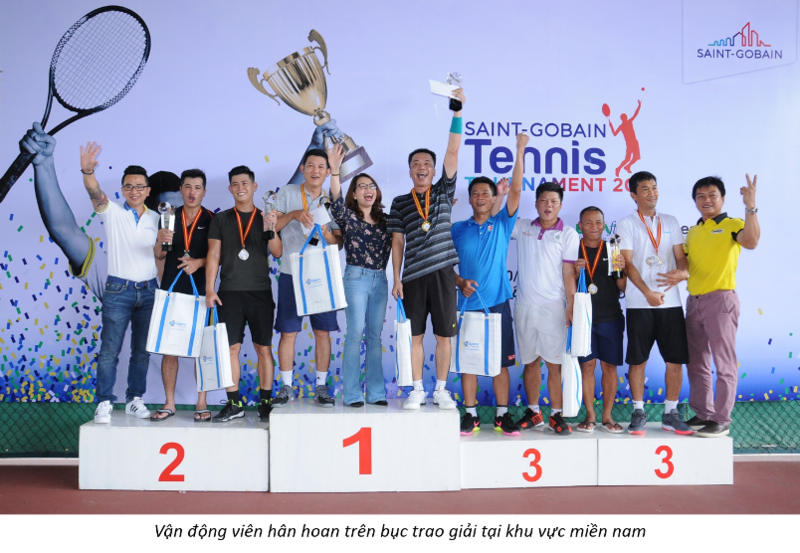 Taking place on 30/9 & 01/10/2017 in Ho Chi Minh City and on 28 & 29/10/2017 in Hanoi, tennis tournament Saint-Gobain Tennis Tournament 2017 has gathered more than 150 athletes are ants architects, engineers from design consulting firms and developers, are strategic partners of Saint-Gobain Group in Vietnam in these two areas. The tournament is divided into six groups, competing in a one-way round to select the top 16 teams. Then, the next match of the round of 16 takes place in the form of knockout. The tournament has been very safe but no less exciting and fierce with many good games, dedication and beautiful. The tournament has taken place safely, but also equally strong, fierce, the team has contributed to the extremely beautiful phase. The final result in the south with the champion trophy belonged to Nguyen Hong Van - Nguyen Minh Quang couple from Phu My Hung investor. Second prize is Nguyen Quoc Vu - Nguyen The Sinh, also from Phu My Hung. The third prize went to two athletes Bui Phan Phu Loc - Bui Quoc Dat (Novaland) and Nguyen Hoang Thao - Nguyen Van Qui. 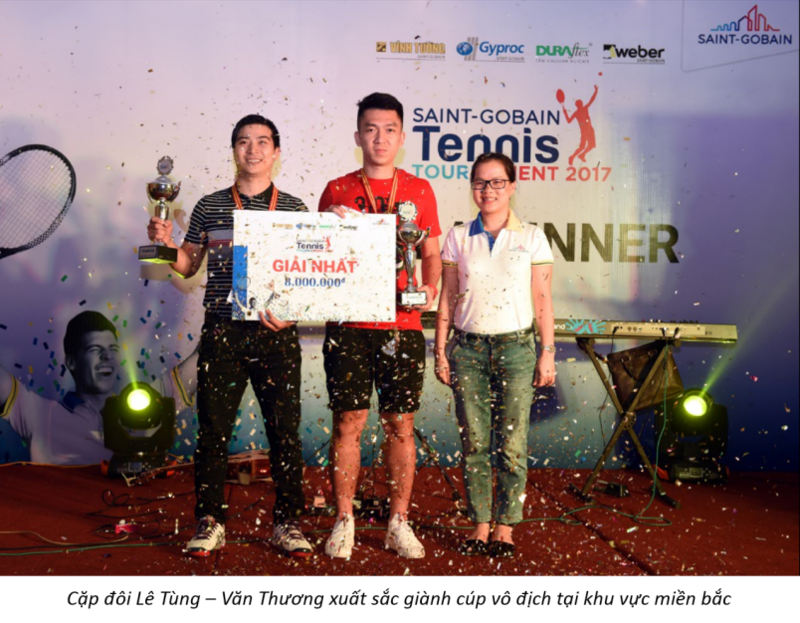 Eventually in the North, the pair of Le Tung - Van Thuong from TTAS company won the championship with very impressive competition. The second prize went to Hai Long - Tiem Minh University and the third prize was Ngoc Tuan - Tran Phu and Tuan Anh - Ngoc Phu from VCC. Believe that with the enthusiasm that the architects have dedicated to Saint-Gobain in the tournament as well as the "very harmony" extremely bloody fire in the night Gala dinner, Saint-Goabain Group Vietnam will have more cohesive It is better to have architects, engineers, large contractors, design consultants, and investors. Especially, we will have more "ONE" tournaments bearing the "RING" mark for our loyal customers.